Broward Real Estate: Almar Estate Waterfront Home In Wilton Manor's For Sale! Almar Estate Waterfront Home In Wilton Manor's For Sale! 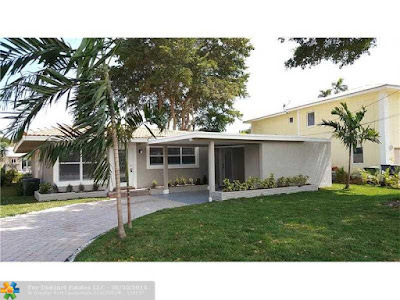 Outstanding waterfront home in the heart of Wilton Manors located in Almar Estates. Water view of middle river from every room! This gem has three bedrooms and two bathrooms generously spread out over one thousand four hundred square feet of perfectly appointed living space. Open floor plan designed to perfection! Beautiful custom kitchen with new full suite of stainless steel appliances, sleek granite counter tops and custom cabinetry! The stunning bathrooms are all remodeled from the studs up with glass shower doors, ceramic tile and modern fixtures. Beautiful landscaping adorns the front yard. The new irrigation system for the landscaping will keep the lush vegetation healthy. The yard overlooks the middle river which is perfect for entertaining. A convenient dock and boat lift are ready for use! Wilton manor's is a unique community that has elegant shopping, dining, and entertainment in the nearby Shoppes Of Wilton Manors. You can enjoy nightlife with the bustling lively clubs, bars and lounge scene. There are plenty of shops to meander around during the day. The dining is fabulous with a large different variety of cuisines to choose from.